Kafka Granite has grown from their origin as a supplier of decomposed granite road materials into one of the largest manufacturers and suppliers of specialty aggregates and crushed stone in the United States. With over sixty colors of granite, quartz, marble, and recycled materials, their emphasis is providing unique colors and sizes of crushed aggregate for a wide variety of applications. Their crushed stone products are used for decorative precast concrete, terrazzo flooring, manufactured quartz countertops, landscaping stone, pathway and ball yard materials, high-friction surfacing, and more. In the Landscape Architecture world, they are most well recognized for their pathway materials, which are a natural, yet aesthetically pleasing alternative to hardscape. They are currently expanding their product offering by introducing a new line of natural stone veneer, made from unique blends of granite and quartzite, compared to the industry standard of limestone veneer. 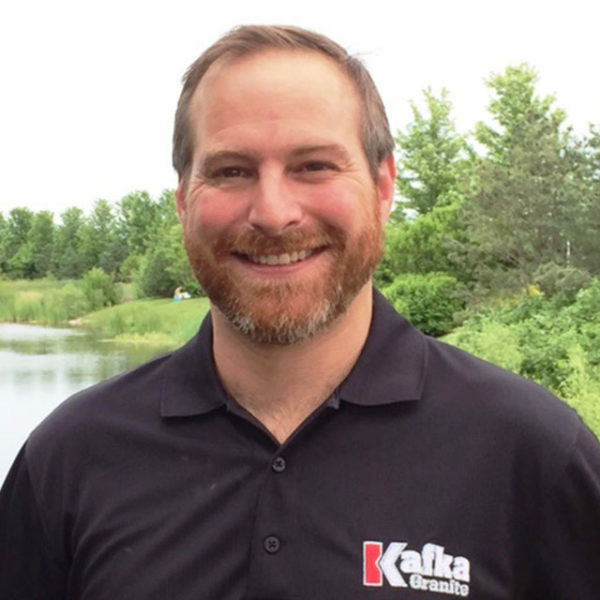 Dan Steidl is local to Downers Grove, Illinois and has been serving the greater Chicago as a Kafka Granite Sales Representative since 2008. With an emphasis on product education and customer service, Dan makes himself available from initial product introduction through installation and maintenance. Dan’s vast product knowledge and strength in problem solving shines most on job sites, making him a great resource for both landscape architects and contractors. Working with Dan, you can rely on one Kafka expert start to finish.